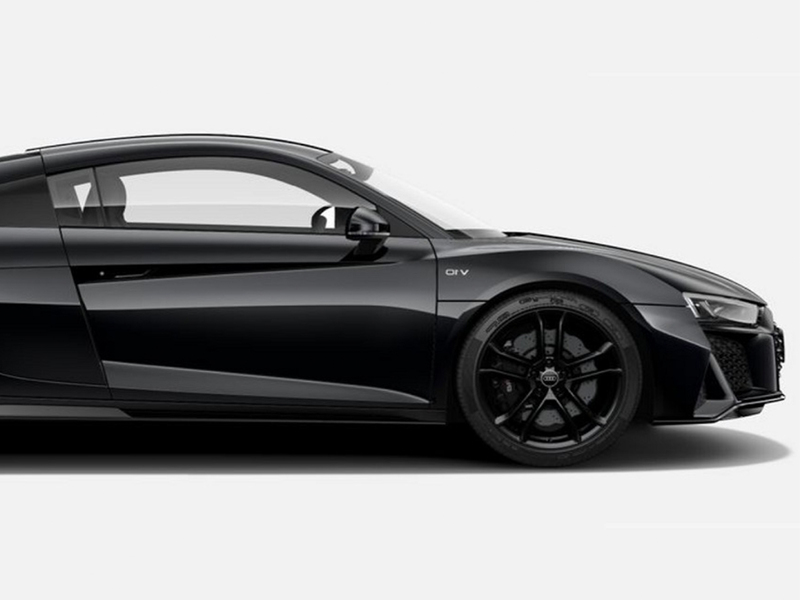 Audi's supreme range topper is truly a supercar in every sense of the term with a large 5 litre high performance, naturally aspirated V10 engine, two sports seats in a cockpit that fits both occupants like a glove, incredible road holding available through four-wheel drive and an ultra-stiff chassis design and build. And all of this PLUS being a Spyder the roof can be removed to allow for open sky enjoyment that comes with a screaming, roaring and burbling soundtrack that at full chat is like that of the birth of a new planet, although as space has no sound, it is even better than that! The howling Audi V10 engine is the same as is found in their sister company's Lamborghini Huracan (Also a Dream Collection member) and delivers its mind-blowing power through its seven speed, S Tronic, Quattro, twin clutch automated gearbox. When driving hard the changes are rapid but for more relaxed driving they are virtually seamless. Traditional sports cars that, through power, styling, brand and price, were deemed to be supercars, often proved highly temperamental and difficult to drive. The A8 comfortably fits into top-tier supercar status yet at the same time is a pussycat for everyday use, loyal and friendly purring with content as a run-around that enjoys head turning looks but when pressed becomes a roaring lioness that not only turns some heads but commands and demands everyone's full attention. Taking the hood down is a piece of theatre in itself with multiple processes working together as if in a carefully choreographed ballet, and it only takes 20 seconds whilst doing up to 31 mph. Inside the R8 you find Audi's Virtual Cockpit where any cluttered is removed, instead all necessary drivers aids are placed as a part of the sports steering wheel and the digital instrument binnacle. The interiors design is Audi at its very best and along with supporting the occupants in leather sports seats, they are surrounded by fine materials and exquisite finishes. To further maximise the usability of this supercar there is even luggage space at the front. To own a supercar is a great thing to enjoy however all that it offers can be achieved without having to buy, you can simply hire this most stunning car and learn for yourself why it belongs at the very top of the list of the world's most desirable supercars. The Audi R8, V10 has contrasting Mythos Black sideblades. The Audi R8 is equipped with a combination of added options to such as smartphone interface, sport plus and driver assistance packs and a sound Bang & Olufsen sound system to match that of the V10 engine. Only the best, most experienced and trusted employees that work at Audi's Neckarsulm factory are permitted to build the incredible Audi R8. This is due to the intricacy, knowledge and expertise it takes to build an R8s as there are over 5000 separate parts to assemble and fit and to do so takes some 70 hours in total. Most of these prized workers are known as ‘Silverliners' because they have been with the company for so many years much grey hair can be seen.